After being teased and leaked for several days, the Samsung Galaxy On8(2018) has finally been launched on Wednesday in India. The new Galaxy On8 (2018) smartphone comes with a price tag of Rs. 16,990 and is available with a bunch of launch offers. Successor to the original Galaxy On8 that was launched back in September 2016, the New model features a 6-inch Super AMOLED ‘Infinity Display’ panel and comes with a dual rear camera setup. Samsung says the cameras are powered by Artificial Intelligence(AI) and supports features such as Live Focus, Background Blur Shape, Portrait Dolly, and Portrait Backdrop. There are also features such as Portrait Dolly and Portrait Backdrop to deliver a unique photography experience. The Galaxy On8 (2018) additionally comes preloaded with Samsung’s Chat Over Video feature that enables chatting while watching a video. 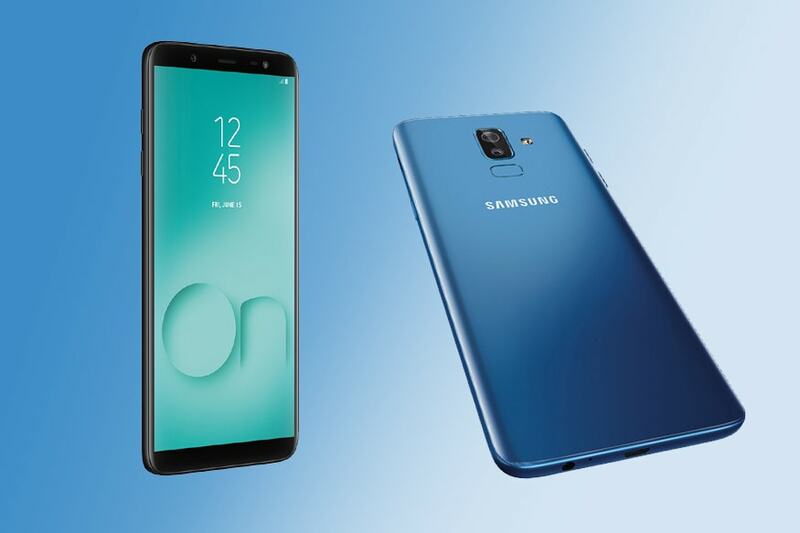 The dual-SIM (Nano) Samsung Galaxy On8 (2018) runs Android 8.0 Oreo with Samsung Experience UX on top and features a 6-inch HD+ (720×1480 pixels) Super AMOLED Infinity Display along with an 18.5:9 aspect ratio. The smartphone is powered by an octa-core Qualcomm Snapdragon 450 SoC, coupled with 4GB of RAM. The dual rear camera setup of the smartphone sports a 16-megapixel primary sensor with an f/1.7 aperture and a 5-megapixel secondary sensor with an f/1.9 aperture. There also an LED flash. Plus, Samsung has provided its Background Blur Shape, Portrait Dolly, and Portrait Backdrop features. The Background Blur Shape adds a soft light effect in different contextual shapes to make the pictures talk. In contrast, the Portrait Dolly feature that enables moving GIF images with zoom movements in the background to create a cinematic experience, while the Portrait Backdrop feature helps users add some preset background effects. For selfies, a 16-megapixel sensor is available at the front along with an f/1.9 aperture. The Galaxy On8 (2018) has 64GB of onboard storage that is expandable via microSD card (up to 256GB). On the connectivity front, the smartphone has 4G VoLTE, Wi-Fi, Bluetooth, GPS/ A-GPS, Micro-USB, and a 3.5mm headphone jack. Lastly, it packs a 3500mAh battery. Samsung Galaxy On8 has been launched in India and Grab this mobile on Flipkart sale starting from August 6.